The Parada Spec - 2 is a performance tyre, designed with maximum grip in mind with a stylish tread pattern to match. 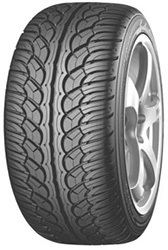 With enhandced handling and great braking in both the wet and the dry, the yokohama Parada Spec - 2 is a great all round tyre. With limited sizes available though this tyre wont be able for many and those wanting a tyre in the Parada range should check out the Parada Spec - X as this is produced in a much larger range of sizes.